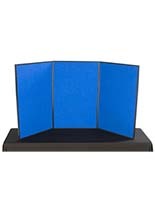 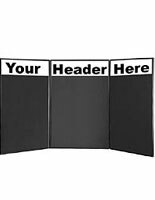 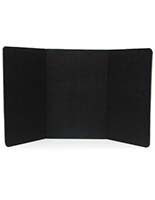 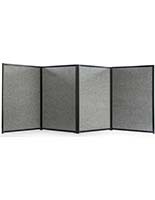 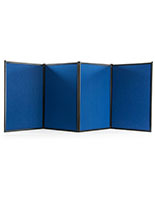 These black 3-panel hook and loop boards feature (3) fabric panels on each side. 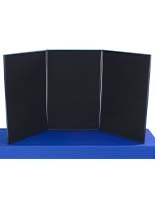 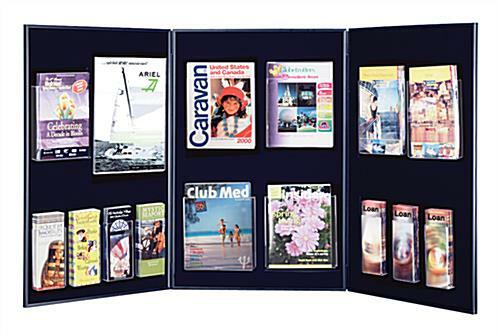 This type of display is ideal for promoting companies and merchandise on trade show tables. 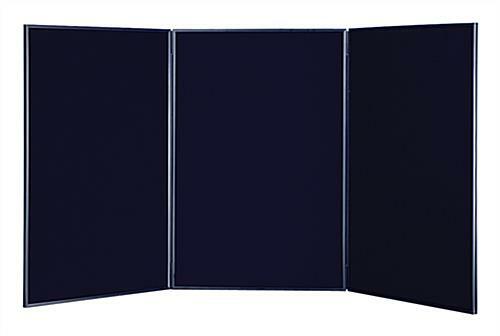 The 3-panel hook and loop boards feature a large presentation area that measures 72" x 36" for graphic and text advertisements. 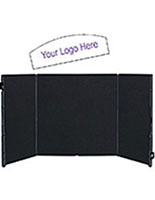 Each of the trade show fixtures can fold and fit into the included compact carrying bag. 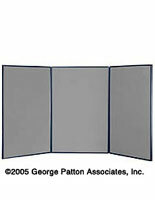 In addition the hook and loop boards for presentations feature gray fabric on the reverse side for different color options. 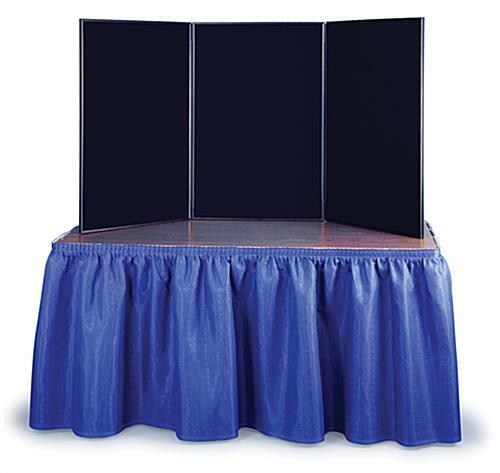 The table units weigh only 20 lbs.